HTC U11 has been one of the best selling Android smartphones in 2017. It has an amazing wide screen with high resolution HD camera along with 64 GB of internal space that could store as many data as you want. Honestly, it has offered way more features than any other smartphone in 2017 in such an affordable price. If you send and receive text messages regularly from your device then it is quite assumable that your inbox must have important information such as official messages, bank statements, health reports and other loving messages from your partner. So, it is very important that you must transfer SMS from your iPhone to your new HTC U11 and keep everything from your old device. Fortunately, there are 3 luminous ways to transfer SMS from iPhone to HTC U11 that we are about to mention below. The methods are eligible for both computer novice and experts and it is assured that none of your data will be harmed. 1. First, open iCloud on your iPhone and create a backup of your device by syncing it with iCloud. 2. 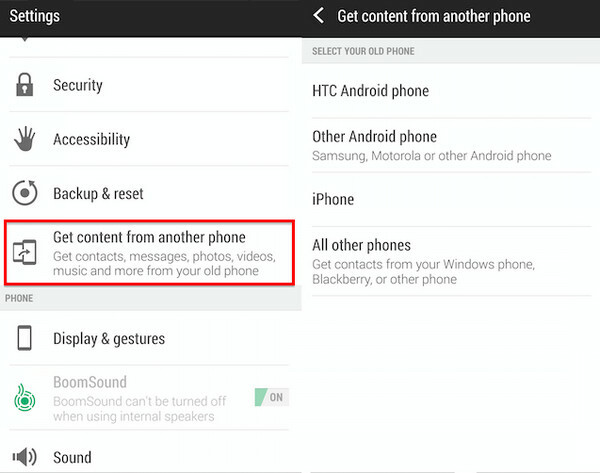 On your HTC phone, click Settings -> Get Content from Another phone. 3. Tap	iPhone -> Import from iCloud Backup. 4. Now, sing in iCloud account and choose an iPhone backup file. 5. Click Next and choose SMS from the options. Finally tap Import and all selected content will be synced to HTC phone. However, if you didn't have an iCloud account, then this method is not valid for you. Please check the suggestions in below sections. Everyone likes a simple and easy way to achieve any task. Likewise, the above methods needs some laborious work, so in order to transfer SMS from iPhone to HTC U11 in a delightful way without requiring any computer skills then using an automated software is the best option. Phone to Phone Transfer is a creative and lavish program to handle all of your smartphone related tasks from your PC. It allows you to transfer SMS from iPhone to HTC U11 with just a single click on your mouse. 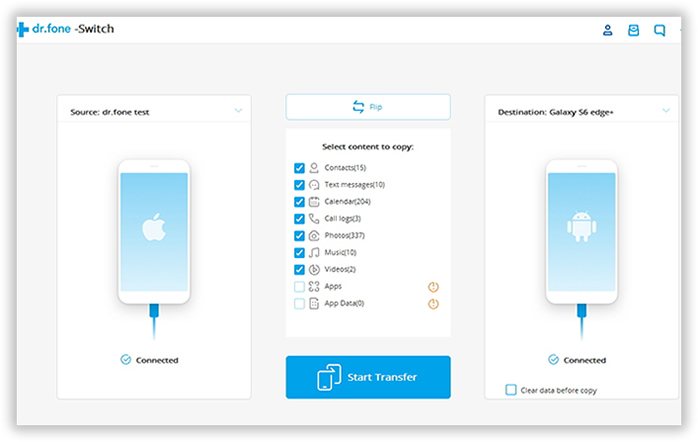 Not only you can transfer text messages but also you can copy contacts, music, videos, photos, apps, apps data and other personal stuff from one phone to another easily. It supports various other smartphone brands and OS including Android, Apple, Blackberry, Symbian and Windows phones. 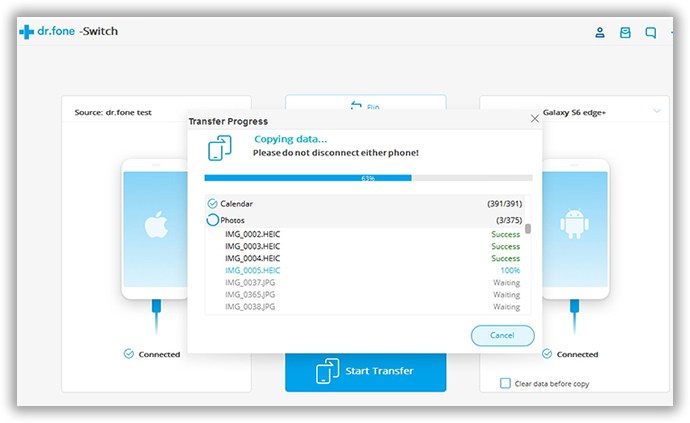 Transferring any type of data from one phone to another with MobileTrans is easier than copying data from computer to smartphone. It doesn't even require you to copy any data on your PC but rather it transfers the data from one smartphone to another directly. This program is free to use, so feel free to download it on your respective computer and install it like a regular software. Open the software after finishing the installation and choose "Switch" from the home screen. Now, connect iPhone and HTC U11 to PC with the help of 2 different USB data cables. If your PC has no free USB slots then you should buy a USB hub port to connect more devices to your computer. Both phones should appear side by side, if the positions are not correct then you can click the flip button to switch the positions. From the middle section, click on "Text Messages" under the "Select Content to copy" menu and hit the "Start Transfer " button. After that, the program wil move all the messages on iPhone to HTC phone. Usually, it will be done in less than 10 minutes. There are too many apps available on the Google Play Store that can perfectly transfer the messages or iMessages from iPhone to HTC U11 without any issue. This part does requires some technical knowledge, so carefully implement the steps below. 1. First create a backup of your iPhone and copy it on your PC or upload it to dropbox or any other cloud server. 2. 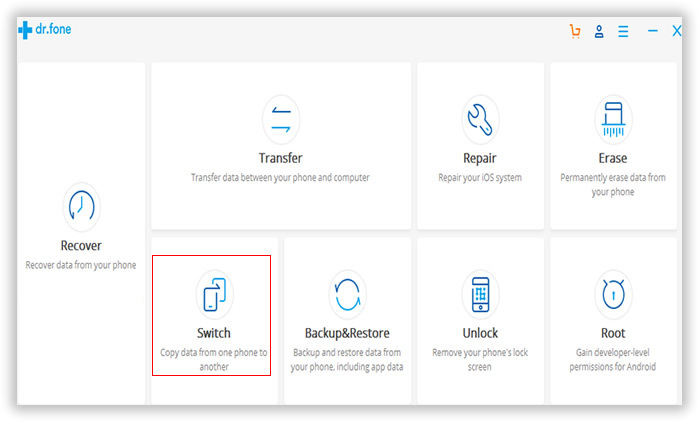 Copy the backup file into your HTC U11 via USB data cable or you can download it from dropbox or any other cloud server in which you have uploaded the backup file. 3. Go to Google Play Store from your HTC U11 and download iSMS2droid. 4. 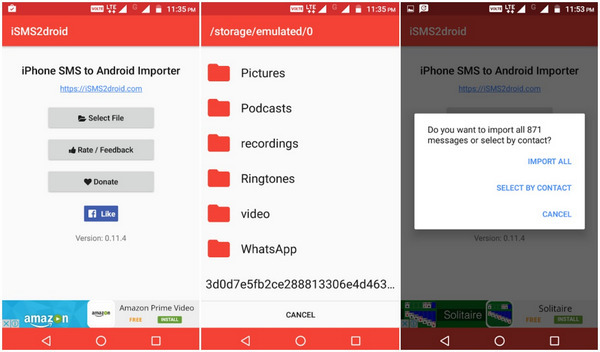 Open the backup file from iSMS2droid and choose "Select All" to import full SMS collection from your iPhone or you can import by contact names as well. 5. Now wait for the app to import all the messages from the backup file and it should be done. Data transferring from one phone to another has always been a delicate subject for those who changes smartphone rapidly. However, data transferring is not an issue at all if you have Phone to Phone Transfer with you. You can switch smartphones daily and Androidphonesoft will help you transfer data daily with a single click. However, you should always keep a backup copy on your PC, in case your phone is stolen or damaged beyond recovery.